The Supreme Court held that, under normal circumstances when an employee retires from service, his relationship with the employer comes to an end. Further, in the instant case the employees who retired under voluntary retirement scheme (VRS) form a separate class as compared to those who retired in normal course. Therefore these two classes cannot be said to be similarly situated. Hence there is no violation of Article 14 of the Constitution of India. Also there is no violation of the principle of equal pay for equal work. The issue involved in all these cases before the Supreme Court is with regard to retiral benefits to be given to a special class of retired employees of five nationalized general insurance companies. The question before the Supreme Court was whether the employees who had opted for voluntary retirement under the Scheme are entitled to get the benefit of additional pension on the basis of revised salary in pursuance of the Notification dated December 21, 2005. The learned counsel appearing for the employees, who had retired under the Scheme, had vehemently submitted that pension is a right of an employee for the services rendered in the past and as the pension depends upon the last salary paid or payable to the employee, the employee, who had opted for the Scheme and retired, must be given benefit of the revised pay and his pension must also be enhanced accordingly. On the other hand, the learned counsel appearing for the Employers had submitted that the purpose behind enactment of the Scheme was to see that the financial burden of the Employers is reduced in future by making one-time ex gratia payment. It had been submitted that the employees had accepted the offer given by the Employers with regard to their retirement as a special case under the scheme and as a result of retirement under the Scheme, the employees were substantially benefitted because they were given ex gratia payment to which they were otherwise not entitled to and they were also given additional amount of pension because a notional period of five years had been added to the number of years served by them. 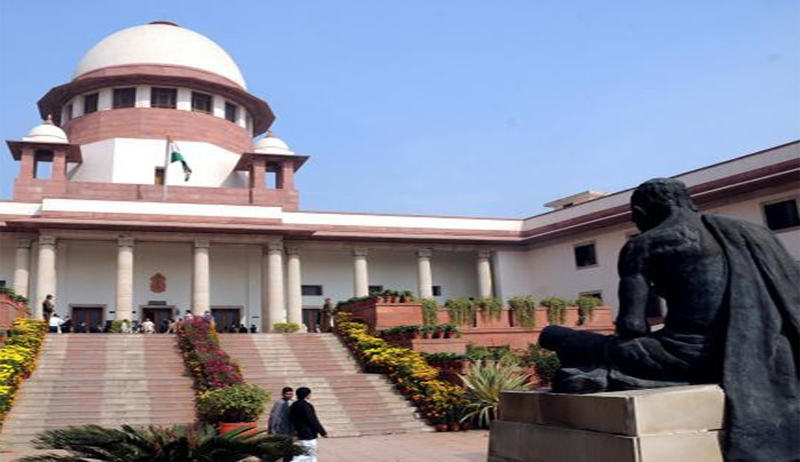 Upon hearing the learned counsels and upon going through the judgments rendered by different High Courts and the relevant provisions pertaining to the Scheme and the Notification dated 21st December, 2005, the Supreme Court held that, we are of the view that the employees who had taken benefit under the Scheme and had already retired would not be entitled to additional pension due to retrospective increase in pay in pursuance of Notification dated 21st December, 2005. In the instant case, it is clear that the employees had already opted under the Scheme -under a specially made Scheme, which was framed only with an intention to reduce future expenditure of the Employers. If all benefits are given to the persons who had already opted under the Scheme and had retired, the real purpose with which the Scheme had been framed would be frustrated. Normally, retrospective rise in salary is given to those who are in service at the relevant time or who had retired in normal circumstances. The employees who had opted under the Scheme had not retired as per the normal conditions of service but had retired under the Scheme upon taking some special additional benefits. It is also pertinent to consider clause 5(2) of the Scheme. It was clarified that in case of wage revision effected from a date prior to the date on which the said Scheme had been notified in the Official Gazette, the benefit of revised pay for the purpose of payment of ex gratia would be allowed. Meaning thereby, the employees who had opted under the Scheme and retired from service were entitled only to revision of ex gratia amount upon retrospective increase in the salary. The intention was to give benefit only in relation to ex gratia amount and not in relation to the pension. Hence the Supreme Court set aside all judgments directing the Employers to make additional payment of pension to the employees retiring under the Scheme.